SOLBO table lamp $15 on your next Ikea Trip! 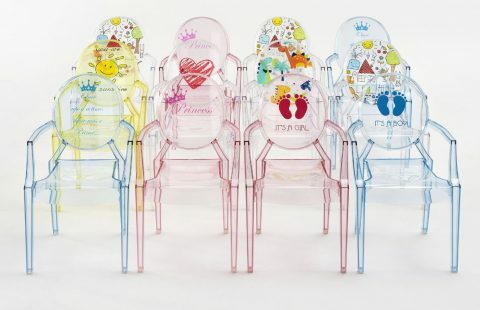 Kartell is colorful and kid-friendly already, but Kartell Kids is finally coming our way with even more fun designs and products. 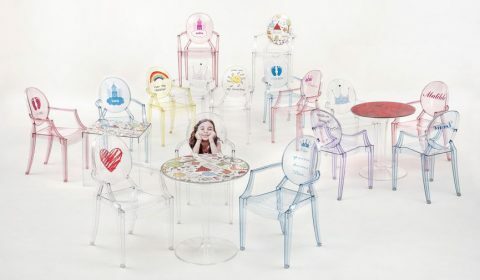 Philippe Starck’s Lou Lou Ghost Chair is a child sized chair that’s been available alongside the regular Louis Ghost chair, but now you can find them with dinosaurs, hearts, suns and more printed on the back. There’s also a kid sized Tip Top table so you can put together an entire set. 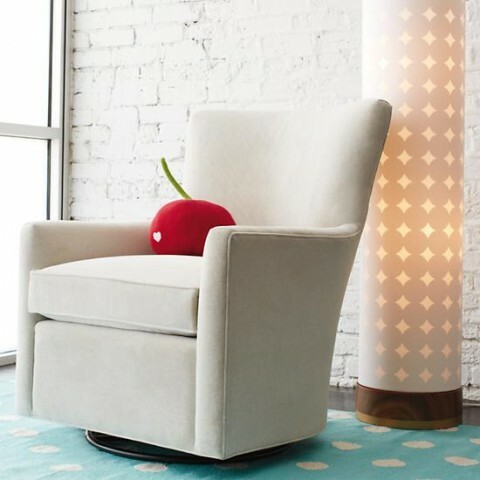 I’ve always loved picking the FL/Y Lamps for nurseries and now there are even more kid-friendly versions. My favorite new piece is the Discovolante ride on designed by Piero Lissoni. I’m also always on the lookout for the best modern rocking horses and the H-Horse designed by Nendo is the latest addition to an exclusive list. 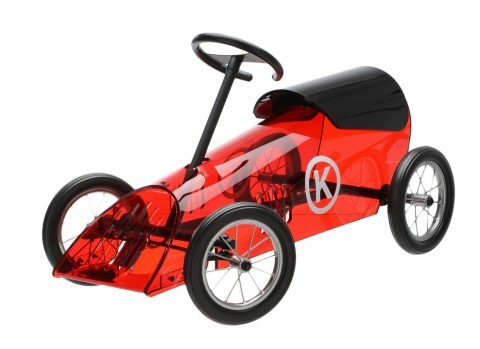 Keep your eyes peeled for these new Kartell offerings. So far I’ve only found one online shop where you can order some of the items. 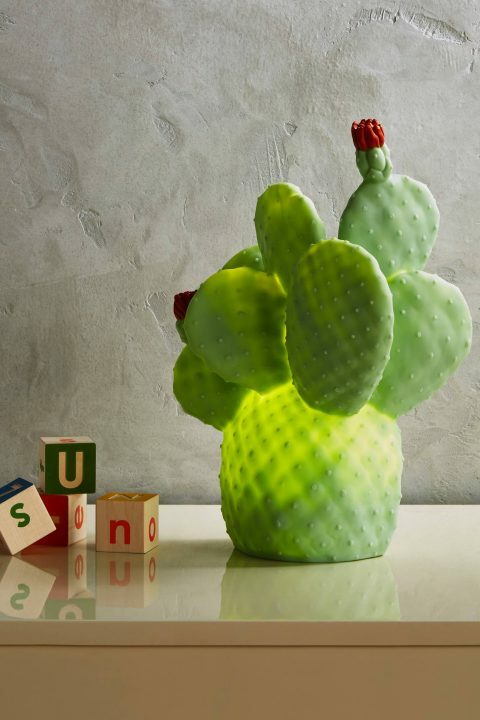 Not quite as prickly as the real thing, this Cactus Light is a really unique lighting and decor piece. $110 at Anthropologie. Available exclusively online. Every so often thanks to international shipping and a reasonable exchange rate, I can’t help but send you shopping abroad for your nursery decor. These lights from A Little Lovely Company are worth the effort. And we really can’t mention A Little Lovely Company with out sharing their “must have’ lightboxes. These keep tempting me. All the products from A Little Lovely Company are the types of things that really tempt me to open my own shop! Cheerful decor in the daytime, colorful glow at bedtime. 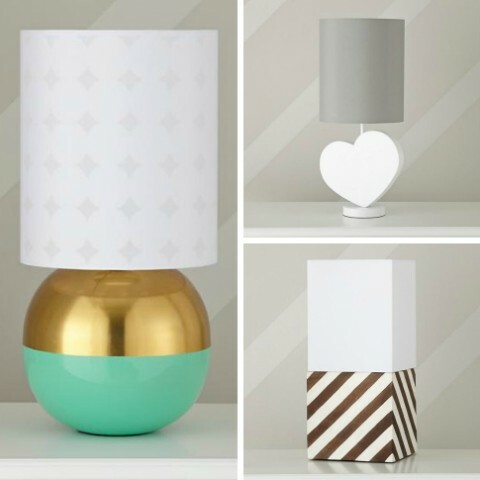 The adorable modern children’s lamps from Slide Design come in a wide variety of colors and cute designs. 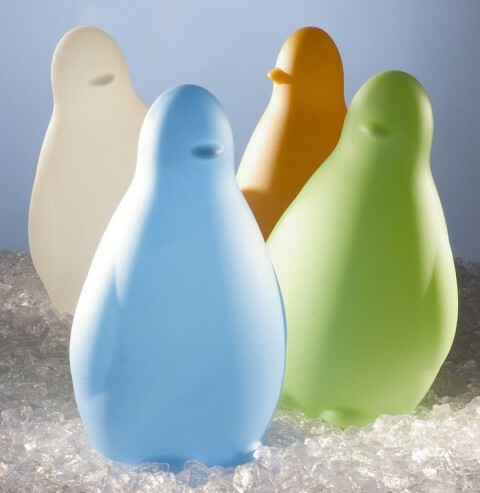 My kids would go crazy for the penguins in the form of the Koko Light. The Pure Light is a modern teddy bear. At 17.7″ tall, this critter makes a big statement! 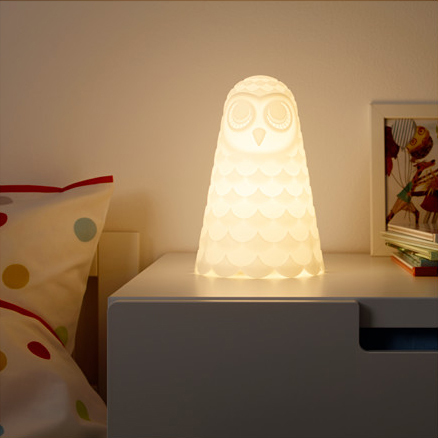 The Bubo Owl lamp is another great nursery option, and you can also find the Mr. Bot robot light and Jumpie rabbit light. Take a look at all the plastic possibilities from Slide Design on yliving. It seems that everything Joy Cho touches turns to gold (sometimes literally!). With her graphic design background and through her mega-popular blog, the Oh Joy! brand has just exploded. 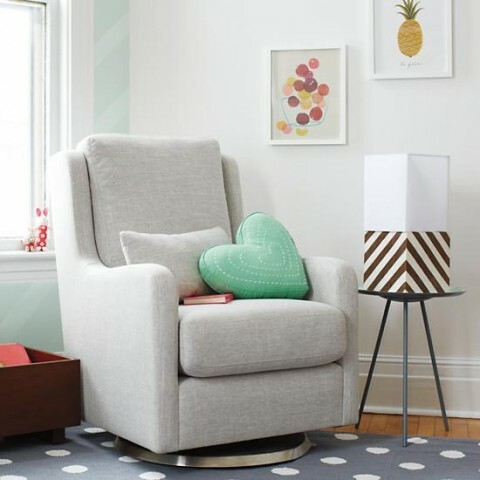 From early designs like the Hygge & West Petal Pusher wallpaper to her current party collection at Target, it’s been exciting to watch the collaborations she’s developed over the years. Now with the new Oh Joy! for Nod collection, it’s clear to see that there’s just no limit to the goodness we can expect from Joy. I like that the pieces mix and match easily between the two so there a lot of room to take the patterns and create your own unique look. 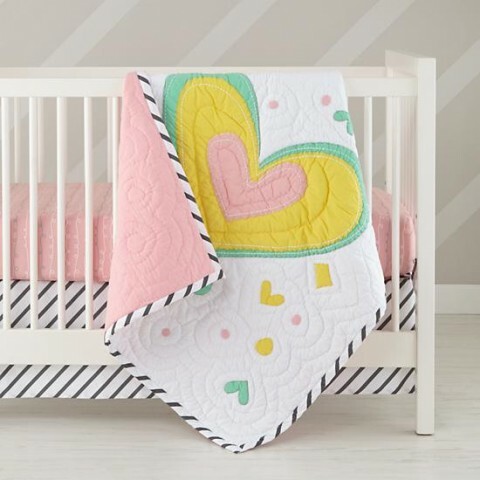 My least favorite parts of the bedding are the crib quilts, but without them I really love the sheet and skirt combinations. 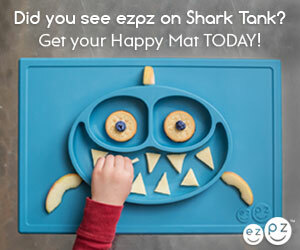 The sets have matching changing pad covers as well as toddler sheet sets and twin versions. 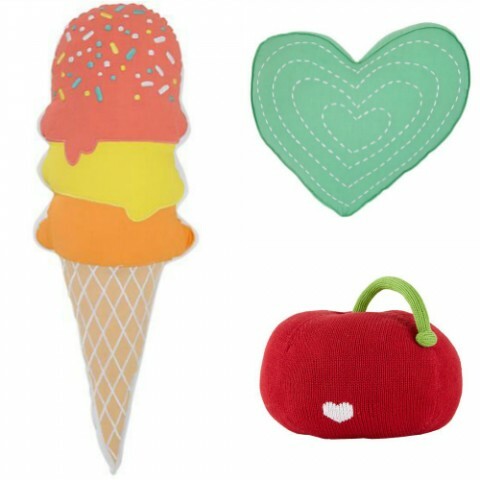 Accessorize the bedding with these whimsical pillows– Ice Cream, Green Heart and Cherry. As part of the Oh Joy! 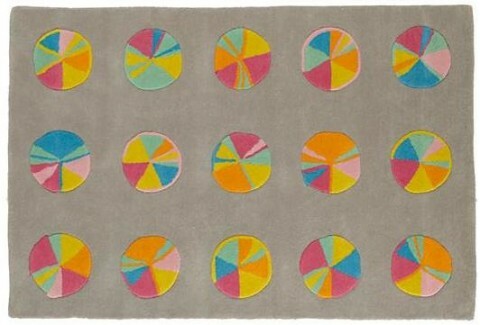 for Nod Collection, Joy curated an art collection for the Nod Institute of Art. 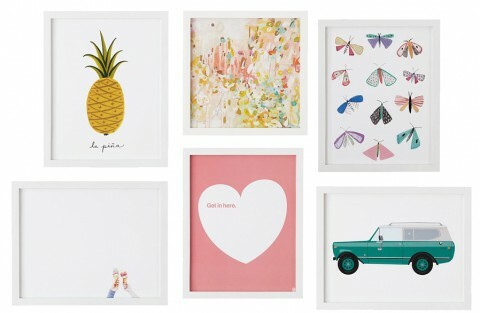 Mix and match your favorite art pieces for the perfectly lovely and coordinated gallery wall. 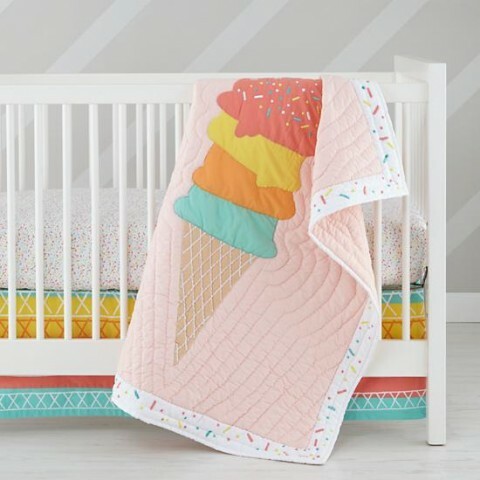 I’m starting to think I might need the Ice Cream print (though I think I want a much larger version!). and the Sprinkle, Grey Stripe and Multi Circle Plush Pachyderms are fun gifts. I love how you can just pick and choose your favorite pieces throughout the collection and you’ll come out with a perfectly decorated whimsical and eclectic space that will be totally blog-worthy. Let me know if you try it! Little and often overlooked, nightlights are invaluable in the nursery. They’re not just comforting to babies and children, but they shine just enough of a light in the room to make it easier to check on sleeping kids without disturbing them. 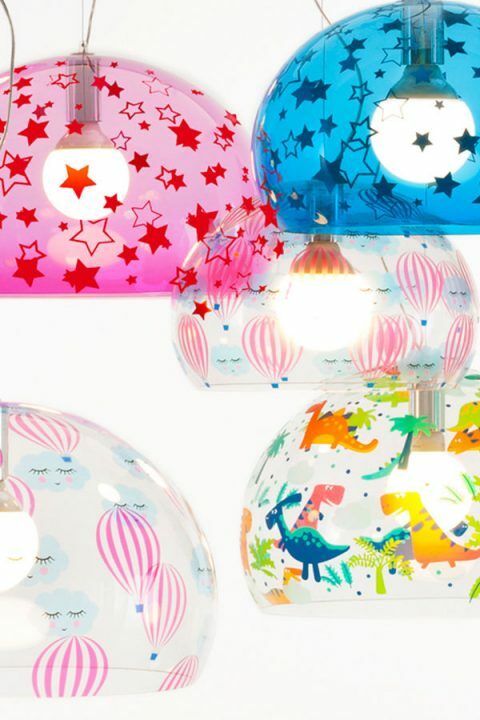 With boys who are 7 and 4, I still have a variety of nightlights in each child’s room– including three on this list! 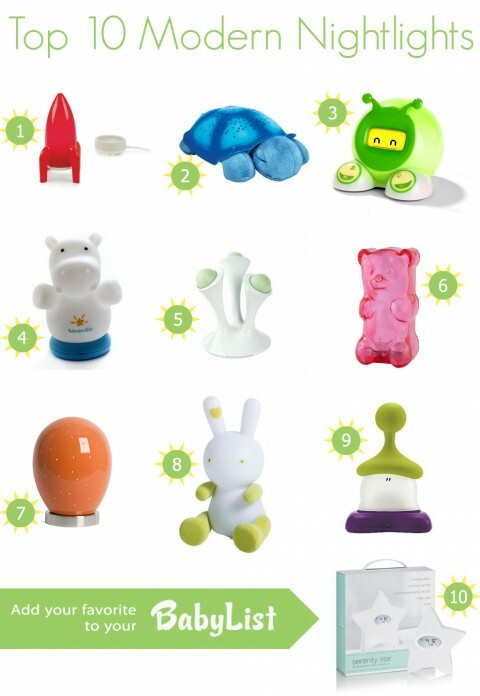 These top 10 modern nightlights are listed in no particular order as part of our baby registry series sponsored by Babylist. 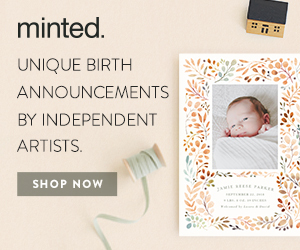 Pick your favorites and don’t forget to add them to your baby registry. LED light glows when removed from its charging base. I wanted this cute rocket lamp for the longest time but never did get one. 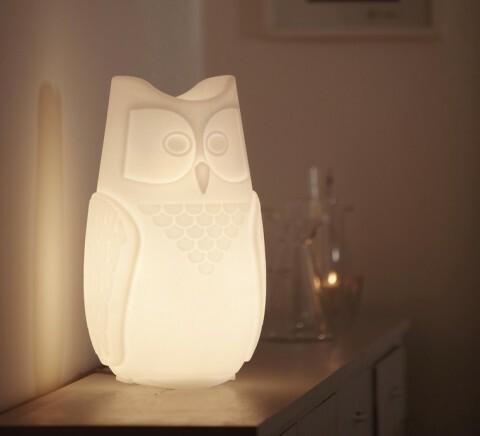 This plush, battery powered nightlight is our last line of defense for the little one. On nights when nothing else will do, we turn on his beloved Twilight Turtle (also comes as a ladybug) and let it project a night sky on the ceiling and walls. He can pick a yellow, green or blue color light. I’d love one in my room as well! 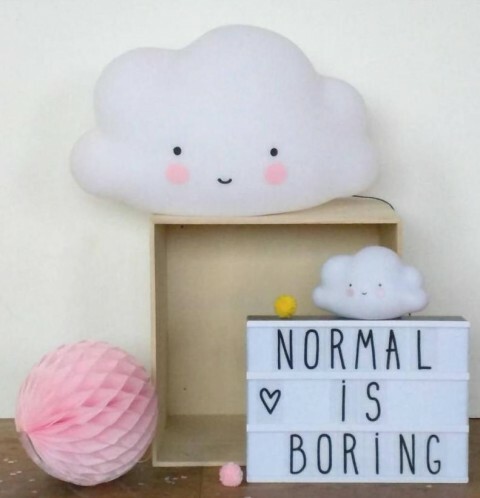 This cute nightlight glows yellow and night and can be programmed to glow “green for go” to teach children what time its okay for them to wake up. I might want to try the additional alarm clock function for my oldest now as well since he’s going to have to start waking himself up to get ready for school this year. Available in a variety of cute designs, the Kinderglo night lights are soft, safe and easy for kids to carry around with them. They glow red, green or blue and will either dim and shut off after 30 minutes or stay on continuously. The multicolored Boon Glo features removable balls that glow wherever you carry them (like into bed!) and fade after about 30 minutes. 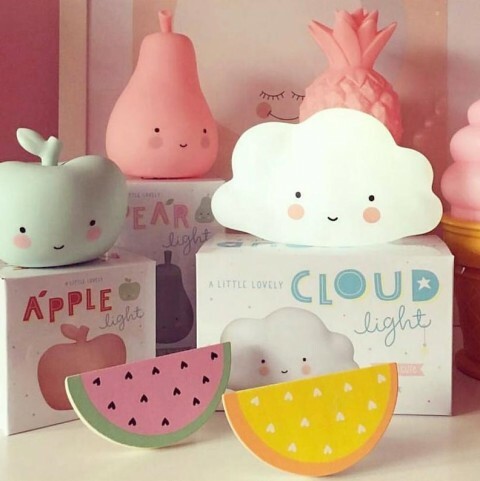 These adorable, battery-powered nightlights are available in a rainbow or gummy colors. LED light turns on with a squeeze and stays on for an hour or indefinitely. 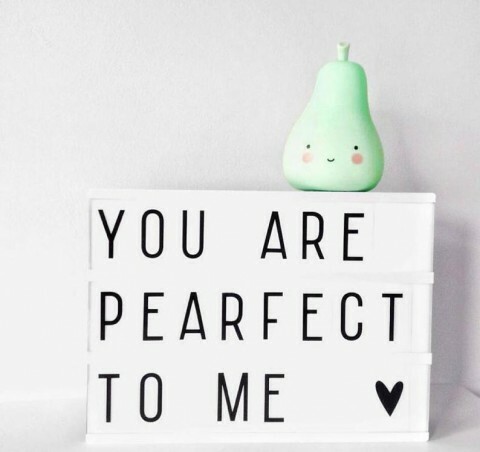 This handcrafted ceramic nightlight is available in a variety of colors and features tiny pinprick holes that allow light to shine through and create a star effect on the nursery walls and ceiling. Tap to turn on or off. 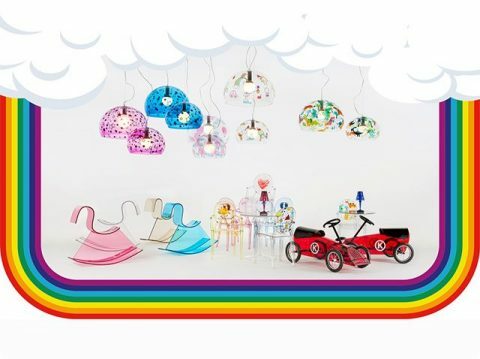 The Giimmo Magic Lights are available in a variety of cute designs. 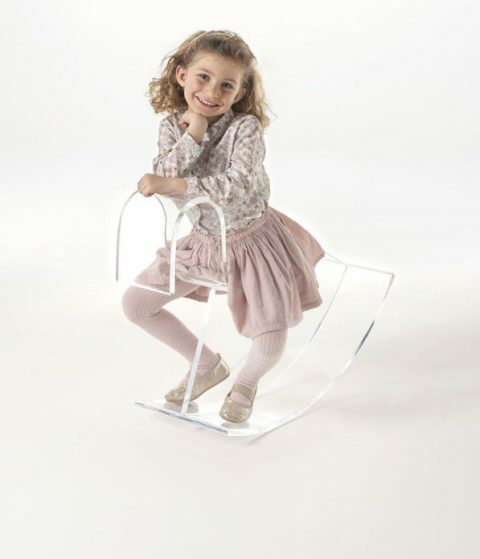 Magic Lights feature a built in LED and poseable limbs. This is the nightlight my 7 year old keeps on his nightstand. He can tap it on during the night, or carry it with him as a lantern to the bathroom. The rechargable LED nightlight sits on a base to charge and can be used when removed from the base. A sweet star shaped nightlight is just the beginning of the description of the Serenity Star. This simple little device is also a feeding tracker, sound machine, room thermometer, and clock. Use all the features or only the ones that are useful to you. Add your favorite night light to your baby registry with BabyList. 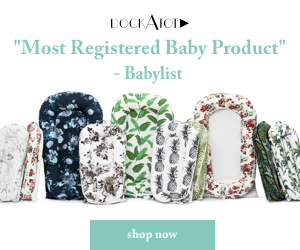 BabyList lets you ask for exactly what you want from the retailers of your choice – including your favorite local or independent shops (like Etsy). 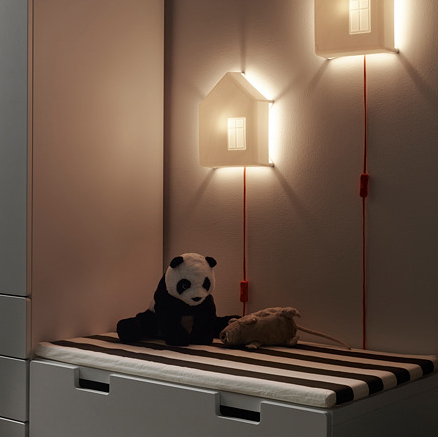 Finally we can talk about the cute, modern kid friendly lamps from Dutch design studio, Mr Maria. 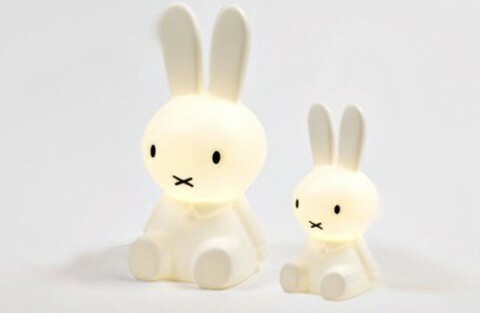 With their iconic Miffy lamps at the helm, Mr Maria lamps will be arriving on US shores thanks to Cool Kids Company. But Miffy and Miffy XL are not all that we’ll be seeing. 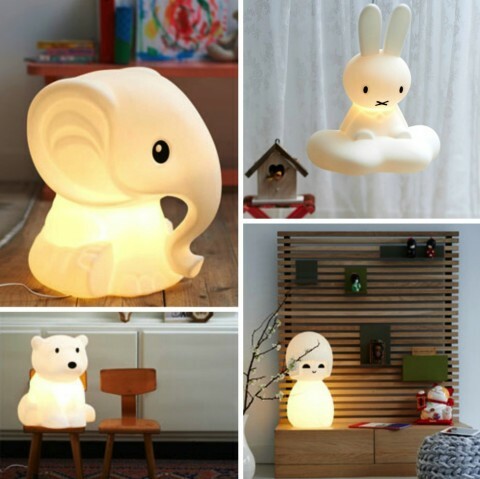 There is also Anana the elephant, the hanging Miffy Dream, Nanuk the bear and Kokeshi. Finally, Snuffy is not a lamp, but he’s awfully cute. No timeline or pricing details are available yet, but I’ll update this post when the time comes.